Are you looking for the most unique sound system on the market? 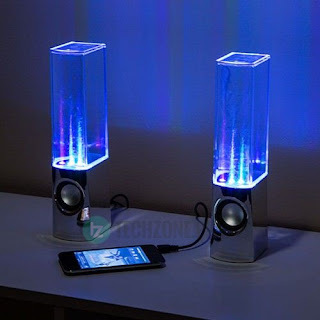 If so, you gotta get yourself The Water Dancing Speakers. 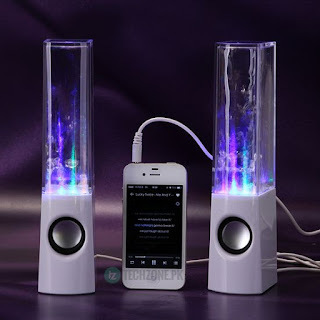 Just plug these speakers into your IPod, MP3 player, or home computer and let the eye candy begin. 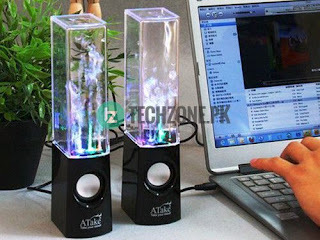 These one of a kind speakers shoot water into the air while dancing to the rhythm of your music. The four multi-colored LED lights, reflect off the water as it shoots out of the base creating many awesome visual effects. 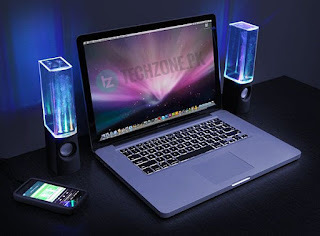 These speakers are lightweight, portable and extremely versatile. Just add your favorite tunes, sit back and watch the wild light and water show that will be an instant hit with everyone. It's like having a mini nightclub at your fingertips. Mini speaker design with decent looking. Those mobile phone which have 3.5mm Audio Jack They all are Compatible with This.